It's Sunday, so that means it's time for And finally - your one stop shop for getting up to speed with everything from the world of wearable and connected tech that you haven't already caught up with on our dedicated news page. Long story short - it surely won't be long until we finally see some Apple AR glasses. Long story a bit longer - the guys at Patently Apple have uncovered some Apple patents that further detail the much anticipated Cupertino augmented reality platform. Actually, one of the patents falls under Metaio - an augmented reality startup that Apple purchased two years ago. A lot of the patent info details holding up an iPhone or an iPad to get digital info thrown over the real world (yawn) but, more excitingly, there are also details on a video-see-through head-mounted display (HMD). For the full long story, click that Patently Apple link. We told you earlier this month how a Samsung Bixby speaker may not be coming soon, but that doesn't mean we'll have to wait too long for a smart audio product from the Korean company. A report this week from ET News, suggests that Samsung is working on Bixby-powered Bluetooth earbuds to take on Apple's AirPods. There's a chance the Bixby buds could launch alongside the Galaxy Note 8 later this year. 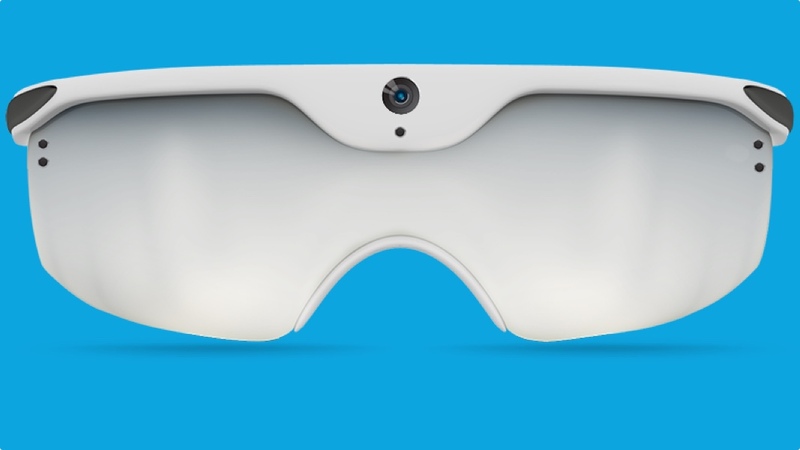 We already knew that Intel was killing off big parts of its wearable division and there's news this week that the Recon Jet is the latest victim of the shift in focus to AR. Intel will begin withdrawing the cycling specs from 29 September. Tailored to cyclists and runners, both amateur and pro, the Recon Jet glasses display speed, pace, distance, duration and more metrics in real-time and the glasses can display texts and calls from your smartphone and there's also a HD camera for POV stills and video. Intel acquired Recon back in June 2015. Wink, the smart home hub that has seen its company ownership change hands already, is now owned by Will.i.am's i.am+. i.am+, the company behind wearable tech clusterfucks such as the Cuff, take Wink off of Flex's hands (who originally took it from Quirky). "We're excited about the future and look forward to sharing more in the coming months," a Wink spokesperson said. Wink means you don't need to worry about choosing whether to live in an Apple, Google or Amazon smart home. It is compatible with 2.4 million products from nearly 40 brands, with the Wink Hub supporting protocols such as Bluetooth LE, Kidde, Lutron ClearConnect, Wi-Fi, Z-Wave, ZigBee.